UK GDP in volume terms is expected to have increased by 0.5% between Q3 2014 and Q4 2014. GDP was estimated to have increased by 2.6% in 2014 compared with 2013. The UK economy grew 2.7% annually. Business investment slipped. The fall in oil prices affected the North Sea petroleum industry. These factors influenced the pound sterling. Stronger US data dented the Pound along with the Euro at yesterday’s session. The pound lost 1% against the US dollar. Technically, the cable was rejected at 20Wsma and 100Dsma and closed at the lowest point of the day. In Wednesday’s article, we recommended buying at 1.5490 with targets at 1.5535, 1.5550, and 1.5564. The cable touched the second target and fell sharply. The prices managed to hold a two-week support trend line on the h4 chart. Today, at the Asian session the pair opened on a bullish note. We can find strong support base between 1.5330 and 1.5300. We recommend fresh selling only below 1.5300. 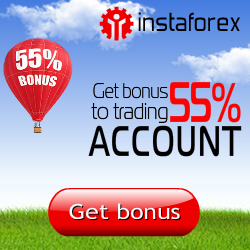 The intraday resistance is found between 1.5430 and 1.5480. The panic will be triggered below 1.5400 with downside targets at 1.5280 and 1.5200. Bulls can challenge again, in case the price closes above 1.5480. For risk lovers, we recommend buying with sl 1.5400 with targets at 1.5430, 1.5444, 1.5465, and 1.5475. From the current market price, the sl is 9 pips away. We can expect strong hourly momentum above 1.5430. Today, traders are awaiting US prelim GDP. We expect the US GDP to rise between 2.0% and 2.1% .